After moving to a new market with the desire to start their own business, owners of this electric and solar company found themselves in an area swarming with service providers “just looking for work.” They understood that they needed more than just a brand—they needed the marketing tools to position themselves as a regional authority in the electric and solar power market. 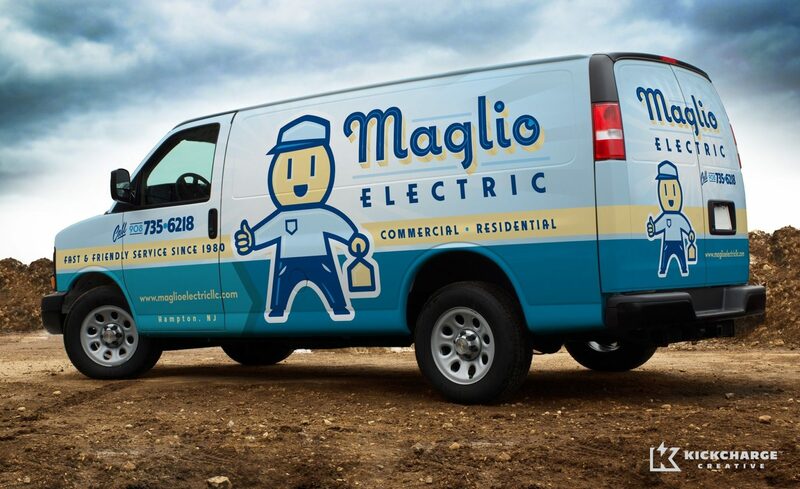 Maglio Electric approached us to develop a truck wrap, but the project quickly grew to a branding initiative centered on the New Jersey-based company’s extraordinary reputation of good, old-fashioned customer service and affordable pricing. The company’s timeless business values are reflected in the brand through a 1950s feel, communicated with retro-themed fonts. The icon reinforces Maglio Electric’s identity and tells its unique story of quality customer service with a playful take on an electrician—featuring a smiling electrical outlet for a face. Based on the positive results of the initial branding effort, the new brand was extended to the company stationery, a new website, and print collateral including a brochure and folder. We were also retained to handle all of Maglio’s marketing needs moving forward, including successful inbound and content marketing campaigns. 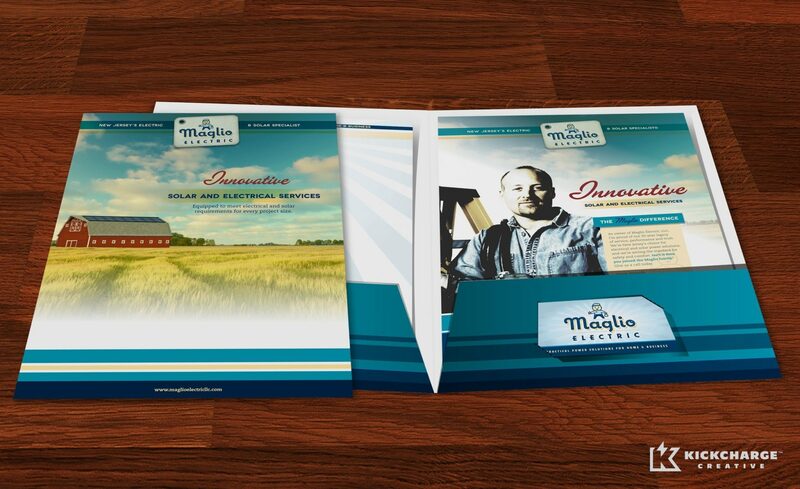 It was easy to make Maglio Electric look good on paper and online, because it is a company that stays true to its word—with employees who practice quality craftsmanship and unequaled service. 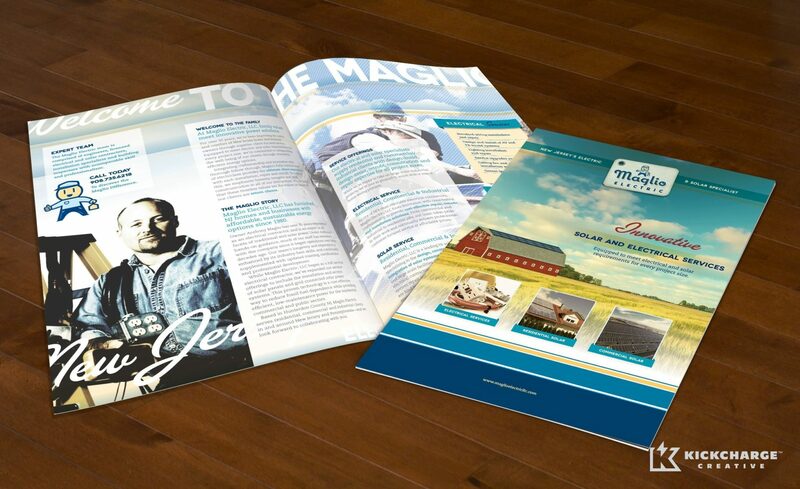 With cohesive customer touch points serving to create a comprehensive brand in the market, Maglio Electric was ecstatic to report a 45% increase in business compared to the previous year. 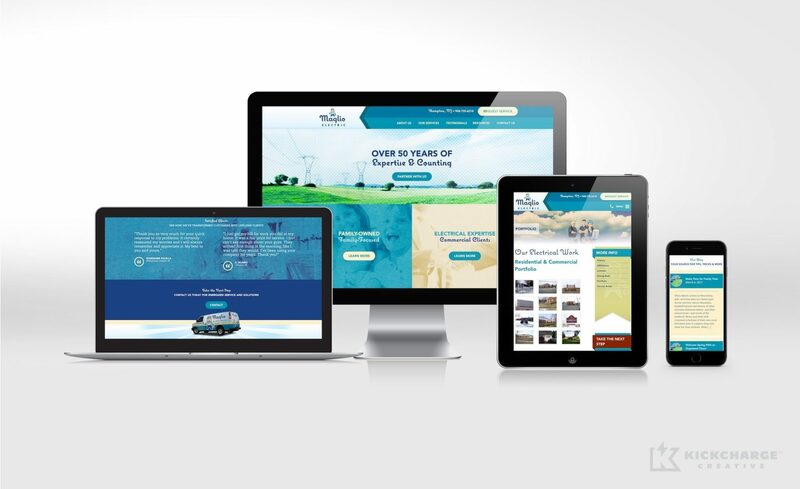 In addition to an increase in business, Maglio Electric’s newly redesigned website generates an estimated 25 leads per week. Since great customer support is so often missing from today’s service providers, the company’s reinvented brand is an invaluable asset that breaks through the clutter in the market to instill credibility and trust.